Does the interior of your home seem drab or boring? You know there is something missing or not right, but you just can’t seem to figure out what it may be. MVP Builders has the answers and knows exactly what you need. Our design specialists are trained in every aspect of interior design and renovation. Whether your home needs a subtle “refreshing” or a complete overhaul, our specialists will work with the existing layout to get the maximum effect of any renovation. Replacing flooring, adding carpet, creating new color palette…..the possibilities and options are endless. Because we put a lot of ourselves into the projects we do, our customers can see instant results. Your vision becomes our vision. And if you don’t have a solid vision of what you want, we can help guide you in the right direction to achieve complete success. In our years of providing service we have been able to do some remarkable transformations. No home is too broken for us to fix. Thinking of buying a foreclosed home? Buying fixer-uppers may seem like you are saving money, but they can actually be very costly. From the outside it is hard to tell how extensive the interior damage may be. Hidden damages like wood rot, mold and mildew and insect/vermin infestations can be deep in the walls and compromising the integrity of the homes structure. It is not until you get into the walls and under the home until you know for sure. Many older homes have not been brought up to modern building regulations and standards. It isn’t until many homeowners are moved in to these foreclosed homes that they become victim to the damage of the home. Let MVP Builders come in and take a look at your new home purchase. We can help bring your house up to code, while still preserving the classic beauty and original architecture of the home. Maybe you’ve been in your house just a few short years and just need a change of paint and new accessories. Even these small changes can make a home look completely different. Is money tight? You can enjoy luxury on any budget! Have a custom made entertainment center for your living room, built in storage cabinets in your dining room or new bay windows in your den. We can install recessed lighting or track lighting to give any room in your home a new atmosphere. We will present plenty of options such as window treatments, flooring, paint colors, textures, fixtures and other accessories to complete the look for your new space. Want new carpeting? We can help you pick out the right type of carpet to match your busy household and color palette. Curtains, blinds and furniture suggestions, there is no limit to what we can do together! 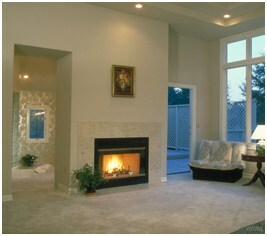 Once you have selected your style we will begin your home’s transformation. When we get done with your house, you won’t recognize it. Don’t be constrained by limitations, let us show you what your home can really be!